There are various materials which are potential sources for biomass pellets making. Take oil palm wastes as an instance. In oil palm industry, when the fresh palm fruits are harvested, a large quantity of wastes are left, which include empty fruit bunch (EFB), palm kernel shell (PKS), oil palm frond (OPF), oil palm trunk (OPT) and oil palm mesocarp fiber (OPMF). In traditional, some of these wastes are used as organic fertilizer, some are burned for heating, and some are just left. However, these methods are not the most economical solutions. In fact, most of these wastes from oil palm can be properly utilized. The processing method commonly used is making them into pellets or briquettes and then they can serve as fuel. Thus the added value of oil palm wastes is produced. It is calculated that, harvesting 1 ton of fresh oil palm fruit, requires removal of 1,900 kg of fronds. Processing 1 ton of fresh fruit bunch gives 200 kg of empty fruit bunch (EFB), 70 kg of palm shells and 220 kg fiber. So quite a large amount of wastes from oil palm can be employed. All these wastes from oil palm can be processed into pellets and used as clean energy. Making them into biomass pellets is a wise decision. The wastes from oil palm can be processed into biomass pellets until a series of steps including crushing, drying, pelleting, cooling and packing are performed. As for the detailed process, here take the EFB pellets and PKS pellets as examples. The material PKS can be made into biomass pellets when several steps are done. First CRUSHING by a hammer mill (or crusher), then PELLETIZING by a pellet mill, next COOLING by a cooler, finally PACKING by a packing machine. Empty Fruit Bunch (EFB) refers to the bunch without fruit, which is discarded from rude palm oil mill. 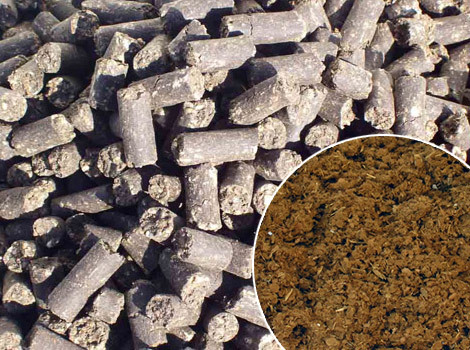 And it can be processed into EFB pellets (briquettes or charcoals), the diameter of which should be from 6mm to 10mm and the length should be less than 30mm. ◊ There are a large amount of oil palm wastes in several oil palm producers, such as Malaysia, Indonesia. So, the sources for oil palm waste pellets are quite abundant. Also, the materials are mainly distributed in oil pal processing plant, suggesting that they are easily to collect. ◊ The biomass pellets made from oil palm wastes are of good quality after several steps. ◊ The biomass pellets made from oil palm wastes are with high heating energy and efficiency. The pellets normally comes in the boiler with a diameter of 8 diameter and a length about 20-30mm. This is suitable for most of the boiler input grate. 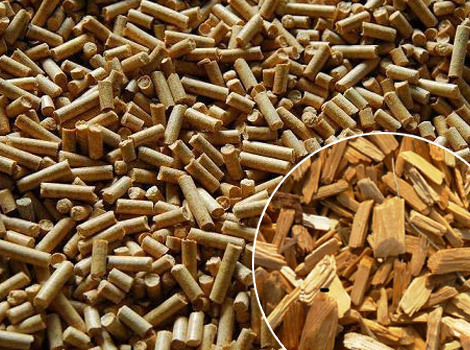 ◊ These biomass pellets can be applied widely, and the demand for them are increasing. ◊ They are friendly to environment. While being burned, the biomass pellets from oil palm wastes do not generate sulfur dioxide nor phosphoric anhydride since they do not contain phosphorus or sulfur. Due to this, oil palm pellets do not pollute the atmosphere nor pollute the environment. ◊ The biomass pellets made from oil palm wastes are easy to transport, handle and store. Palm biomass as one of the readily available renewable energy sources is gaining attention for power generation due to its heat energy content. As for biomass pellets or briquettes, produced from oil palm wastes, can serve as a substitute for fossil fuels. 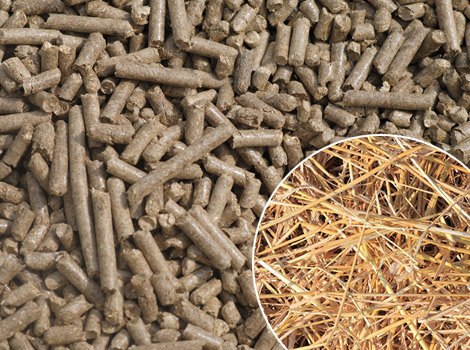 Biomass pellets from oil palm wastes can replace or supplement traditional fossil fuels in boilers, furnaces and kilns for heat generation and power generation. For example, many manufacturing facilities that consume large amount of heating such as cement plants and glove factories have also switched to the use of biomass pellets or briquettes as part of their major fuel source in response to the rising fossil-fuel price. Besides, palm biomass pellets or briquettes could be the ideal renewable energy fuel source for co-firing in coal-fired power plants. It was found that briquettes or pellets made either from 100 % pulverized EFB or mixed with sawdust exhibited good burning properties. 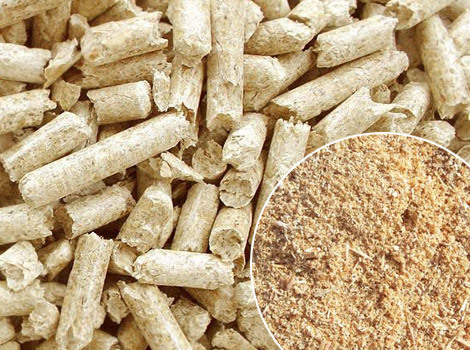 And EFB fiber and palm kernel, due to their physical properties, were recommended to be blended with sawdust in producing quality briquettes or pellets. The application of biomass pellets or briquettes, or charcoal is specifically shown as below. 1. EFB pellets: As for the pelletized EFBs (i.e. EFB pellets), they can be used in power plants, biomass boilers, domestic pellet stoves and fireplaces, BBQ, domestic cooking and central heating generation. 2. PKS pellets/charcoal: One of the most favorable used form of PKS is to process it into charcoal pellet. PKS pellets can be applied in: a) Power plant; b) Industrial boiler; c) Household heating; d) Brick kilns; e) Charcoal pellet burner; f) Water purification as activated carbon; g) Home use stoves; h) Barbecue fuel. 3. OPF pellets: OPF is a possible raw material to be pelletized and used in industrial furnace. Besides, the biomass pellets made from OPMF and OPT are also good to be used as biomass fuel. Today, oil palm grows throughout Africa, Asia, North America, and South America, with 85% of all palm oil globally produced and exported from Indonesia and Malaysia. Biomass pellets from oil palm industry are attractive renewable energy fuel in Southeast Asia. The abundance of these biomass resources is increasing with the rapid development of oil palm industry in Malaysia and Indonesia, where a large quantity of oil palm trees grow there. Indonesia and Malaysia are the two largest oil palm producing countries. From the figure above, it can be concluded that the development of oil palm industry has caused quite a number of wastes. There is a good potential for biomass pellets production from oil palm wastes in Malaysia and Indonesia. Malaysia is a country with rich oil palm trees. The products from oil palm, like EFB, PKS, etc. contribute the portion of oil palm wastes. Take EFB as an example. There is 20 million ton of EFB available in Malaysia, most of which are used as raw biomass materials. Because of the large volume of EFB, Malaysia becomes an EFB pellet manufacturer. Due to the increase in fossil fuel price, we are seeing the needs for converting oil palm waste into palm pellet. Palm pellet is a more efficient energy source compared to raw material. 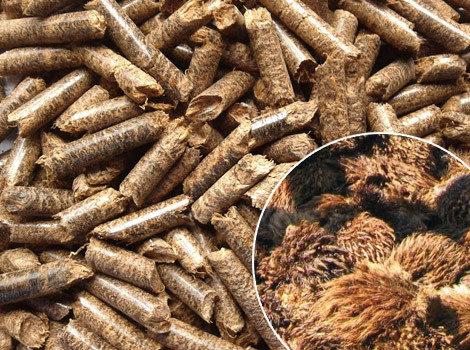 There are several well-established palm pellet manufacturers in Malaysia. Of course, derivative products of oil palm wastes such as EFB pellet/briquette, PKS pellet/briquette will be more suitable for overseas market. * Malaysia is with abundant oil palm sources. It is one of the major oil palm cultivation countries in the world. There are a large amount of oil palm biomass left behind in the palm oil mill. * The success of oil palm industry in Malaysia is attributed to the confluence of government and private sector strategies and policies. Every year, Malaysian government has invested substantial fund in researching and developing new application. * Technology and R&D are another 2 major factors making Malaysia a palm pellet manufacturer in this district. Indonesia also has a large area of land growing oil palm. Oil palm plantation stretches across 7.8 million hectares in 2011. And this number is still rising. Due to rainforest, Indonesia ranks high among all countries in oil palm industry. If all the left wastes from oil palm industry can be made into pellets and used as energy, there should be a considerate market. The Indonesian islands, Sumatra and Kalimantan (Borneo as the Indonesian name) are the most productive palm-growing areas in the world. Within these areas, Riau, North Sumatra, and South Sumatra in Sumatra, and Central Kalimantan, East Kalimantan, and West Kalimantan are the top palm-producing provinces of Indonesia. The oil palm industry has the potential to promote significant economic and social development for Indonesia. It is reported that the industry provides a means of economic development for Indonesia people. Indonesia people has gained a lot from palm oil production. Besides this, there are quite a lot of wastes from palm oil industry. Utilizing all of the wastes from oil palm would be a wise choice since there truly exists a substantial market. If so, the Indonesia people will benefit form this a lot.